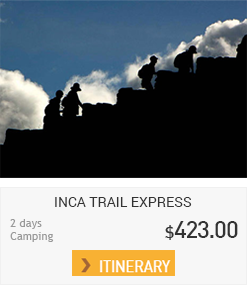 Walking the Inca trail is one in a lifetime experiences, this package of 2 days has been designed for those Travellers who don’t have much time but yet want to hike this amazing trail. 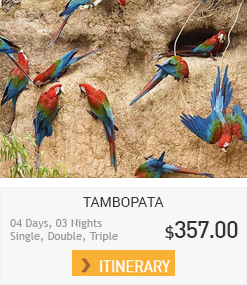 The Inca trail leads through the protected wild nature of the Peruvian jungle and forest steppe, passes several archeological Inca sights and offers impressive views. The Incas used this itinerary for the pilgrimage to the sacred citadel Machu Picchu. Covering a distance of just 10km / 6.3 miles the 2 day Inca Trail is not too challenging which makes it perfect for families with children and those on a tight schedule. Transfer to railway station to take the train to km. 104 by the Railway Cusco - Machu Picchu. After the checkpoint. Starting our trek to the Chachabamba archaeological complex ( 2150 masl ) , after the visit we will take an ascending trail 8 kilometres , after 4 hours of walking we arrive to the archaeological complex of Wiñayhuayna ( 2700 masl ) . This is an impressive complex made up of an agricultural center with numerous terraces, a religious sector and an urban sector. At the bottom we will have magnificent views of the Valley of the Urubamba River and Choquesuysuy archaeological complex located on the other side of the river, and we can see a beautiful waterfall located minutes from Wiñayhuayna, then climb to Intipunku, " The Sun Gate ", this will take an hour of hiking along a trail of flat stones on the edge of the mountain cliffs. From this point we can see the sacred citadel of Machupicchu. From Intipunku descend towards Machu Picchu and then take the bus to Aguas Calientes. Overnight. Pick up from your hotel to get to the bus to head to the Citadel of Machupicchu and then immediately begin our visit to the Inca citadel where we have about two hours to visit. You will then have free time to walk around the Citadel or climb the Huayna Picchu Mountain, where you can see spectacular views of Machu Picchu Citadel, as valleys and mountains that surround it, or visit the Temple of the Moon and the fabulous Inca bridge. In the afternoon return to Aguas Calientes where you can visit and relax in its hot springs. 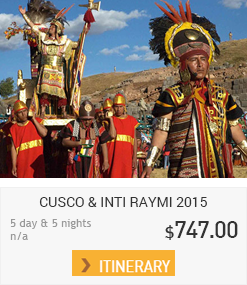 Then take our train back to Cusco. Arriving around 21:00 hrs. Welcome & transfer to hotel. Overnight in Cusco. 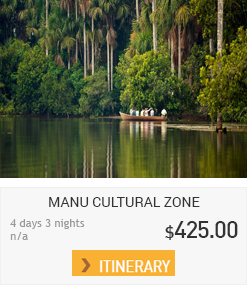 PASSENGERS WITH ISIC CARD (International Student Identity Card), APPLY DISCOUNT OF $ 20.00 PER PERSON.